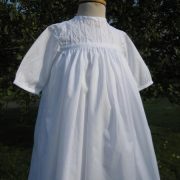 Baptism Gowns for Baby Girls. 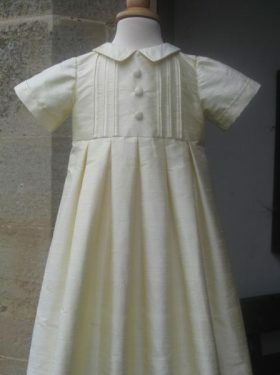 The Amelie Christening Gown is another wonderful Edwardian style created by Christening Gown Designer Linda Patrick of Little Doves. 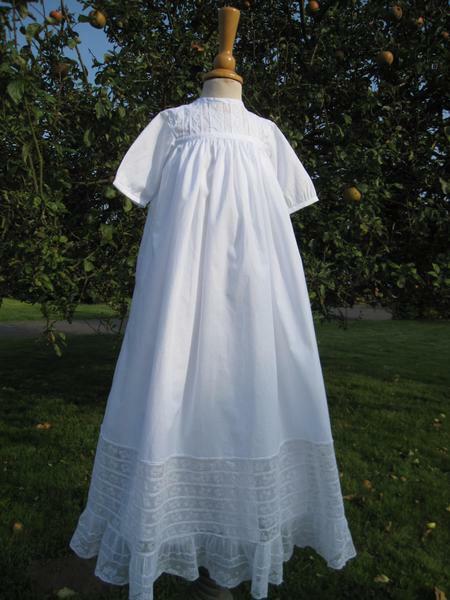 Comprising a mixture of vintage lace and the finest cotton lawn, this christening gown is sure to appeal to Autumn christenings. 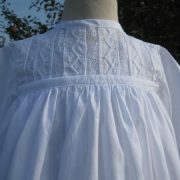 A high yoke is typical of the grand Edwardian era. Drawstring fastenings at the neck and yoke/skirt seam ensure a perfect fit every time. 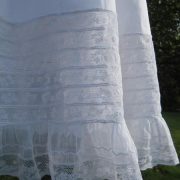 The gown featured is made from 100% pure cotton lawn with a variety of antique laces. 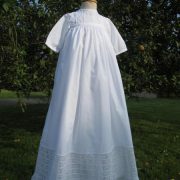 The Amelie gown can be hand embroidered, at the hemline, with the name of the baby and date of baptism. 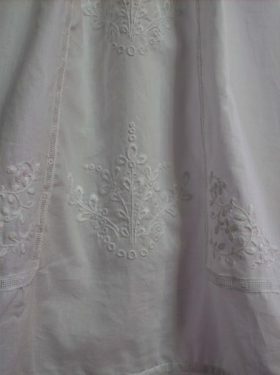 Alternatively we could always embroider the birth flower of your baby to make the gown a truly special heirloom to cherish. 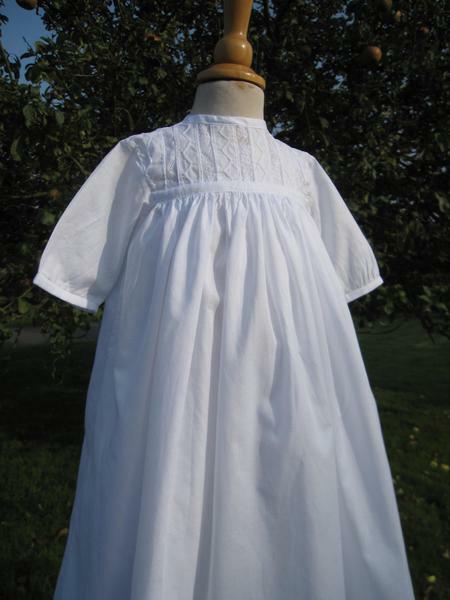 Traditional all Edwardian Christening Gowns would have been worn with an accompanying petticoat. 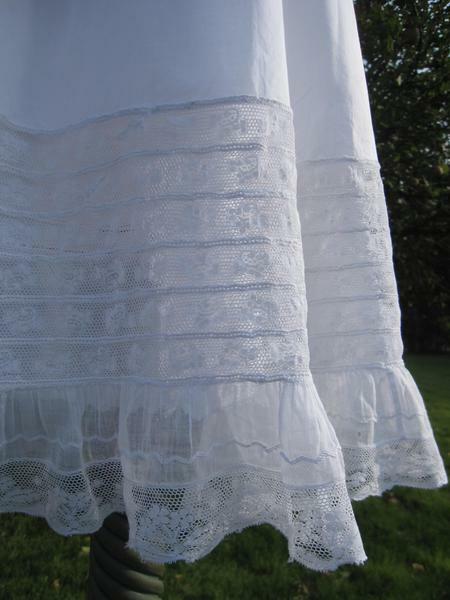 Little Doves also offers petticoats to go underneath this gown. 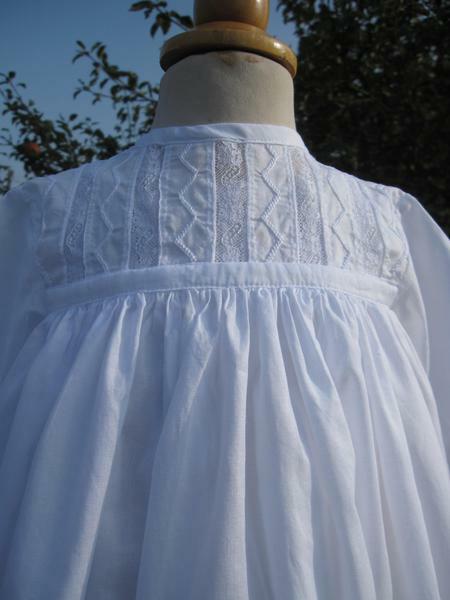 These are trimmed with the same lace as the gown and the name of your baby together with the date of the baptism can also eb embroidered onto the hemline. 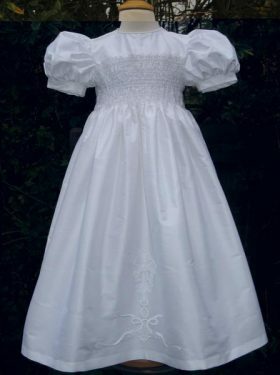 All Little Doves gowns are made to measure. Once the order has been placed we will contact you for size details. 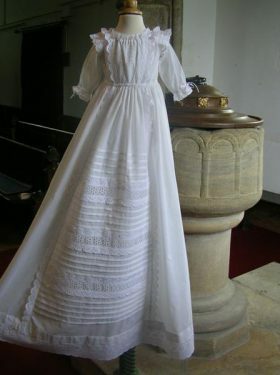 Gowns are normally created about three weeks prior to baptism. Accompanying bonnet (oooh), bib (aahhhh), booties (soooo cute) are also available. Please talk to Linda on 01673 842249 for more details.